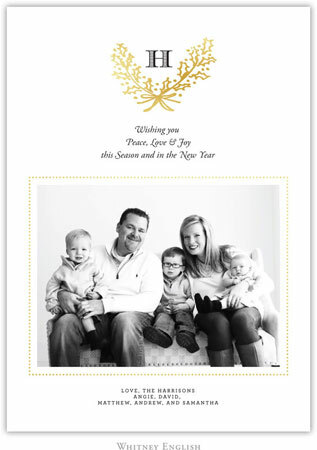 Here's a peek at a few of our favorite holiday cards from this collection! Our prices reflect a 30% discount from retail, so we think our prices can't be beat! This Air Mail Olive one caught our eye. We think this framed holly design is unlike others we have seen anywhere! 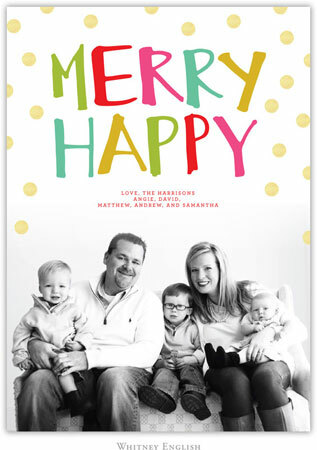 We adore this whimsical "Merry Happy" card. Who doesn't love gold polka dots? It doesn't get any classier than this one with the gold holly. This is a timeless card that will never go out of style. 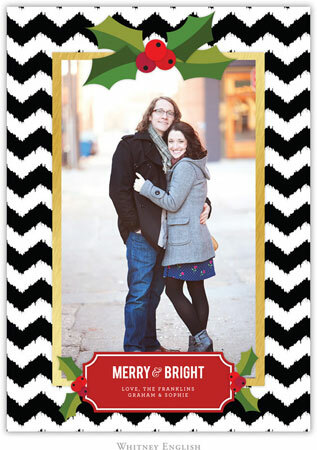 And if chevron is your thing, Whitney has tastefully captured the trend here with this Black Holly Chevron digital card. 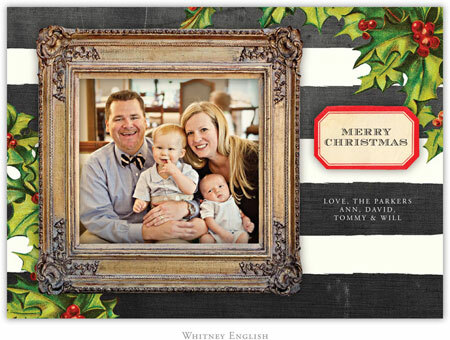 We are so happy to have Whitney English back on our site and have her digital holiday cards at More Than Paper! 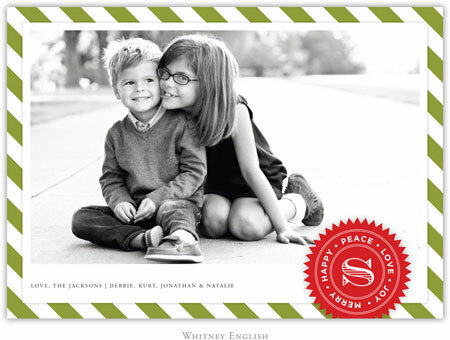 Before you order, be sure to check out our post on how to take the perfect holiday card photo this year here. We think 30% off retail is pretty special too!